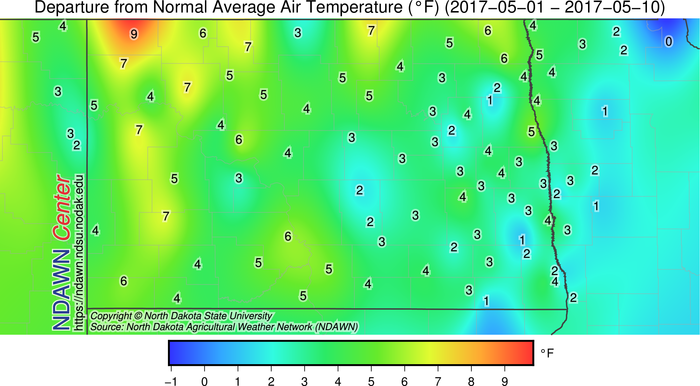 Although the past couple of days have certainly been colder than it has been, the first 10 days of May have recorded above average temperatures. But in many ways our region has been the exception rather than the rule in the major agricultural areas of the United States to this point this month. From southern Minnesota to the Ohio River valley and northward from there it has been quite chilly. Many parts of Indiana and Ohio for example have recorded morning temperatures near freezing. Plus with abundant rains before the cold, crops are either well behind schedule or in need of replanting. Weather is never perfect but we are doing better than many with #plant17.